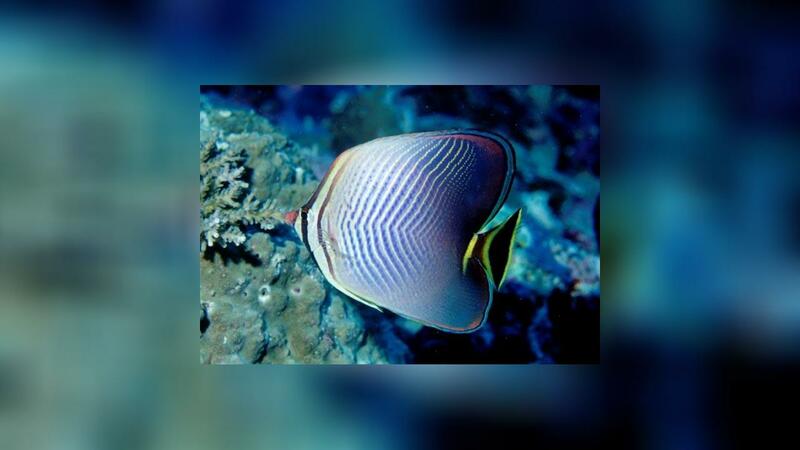 Chaetodon triangulum also commonly referred as Triangle butterflyfish or Herringbone butterflyfish is associated with tropical marine waters of the Indian Ocean. 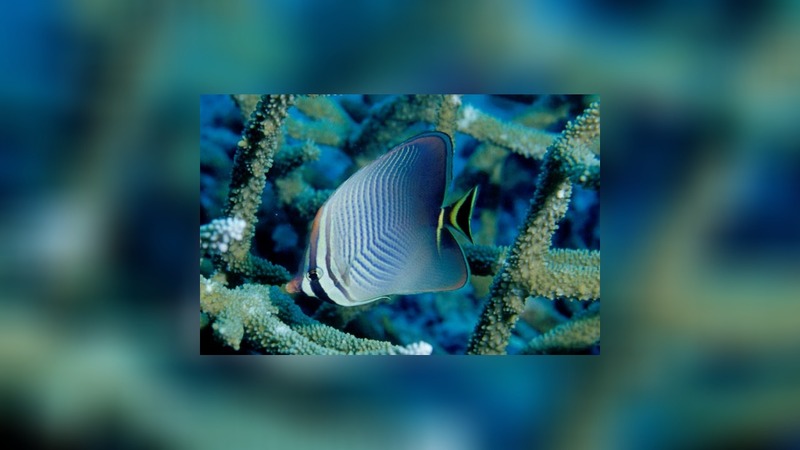 Usually found in pairs in shallow lagoons and seaward reefs (Juveniles in branching corals) from Madagascar to the Andaman Sea as well as the western sector of the Indonesian Archipelago. 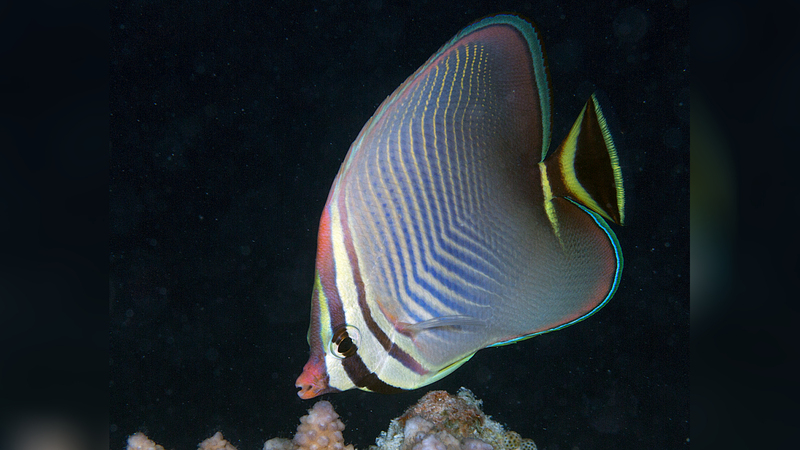 Chaetodon triangulum is typical grey in colour. 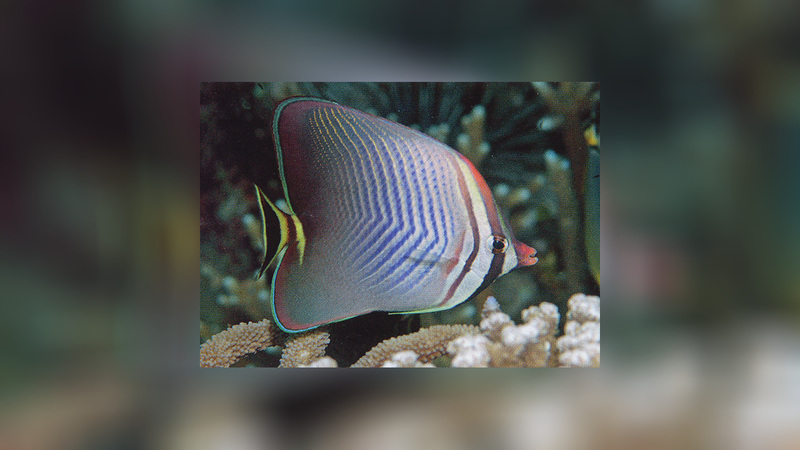 Very similar to Chaetodon baronessa, distinguished only by the tail (black with two yellow lines in Chaetodon triangulum), besides from distribution (possibly overlapping only in western Indonesia). 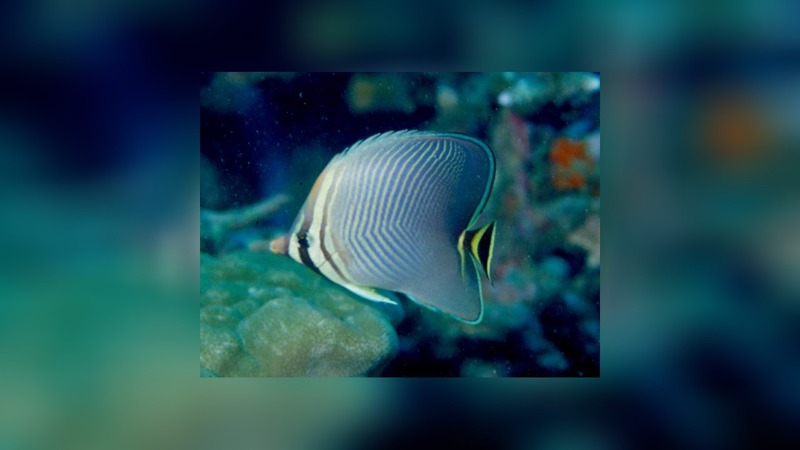 The Triangle butterflyfish feed mainly on coral polyps and therefore does not adjust easily to the aquarium.